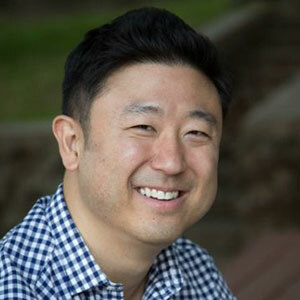 Michael Lee is the Chief Financial Officer of Perfect World Pictures (USA), where he oversees all financial, operational, and commercial matters with respect to Perfect World’s Hollywood-based film and television production ventures. This includes Perfect World’s slate co-financing deal with Universal Pictures (the first multiyear slate deal between a Chinese company and a major U.S. studio). Prior to joining Perfect World as CFO in 2017, Mr. Lee was as the Senior Vice President of Film Finance & Deal Analysis for Village Roadshow Pictures Entertainment and acting CFO for VREG Asia. At VRPE, Mr. Lee managed all quantitative aspects of the greenlight process, including analysis of current market conditions for film in all media, film economics, talent participations, and deal structures. Mr. Lee’s responsibilities also included maintaining the financial lifetime projections for all feature films of the film library across the various revenue streams, analyzing financial and strategic implications of emerging distribution platforms and potential new business initiatives, as well as providing financial analysis for capital market transactions concerning Village Roadshow Pictures. Additionally as acting CFO of VREG Asia, Mr. Lee also oversaw all financial matters with respect to Village Roadshow’s Beijing-based subsidiary engaged in Chinese film production and distribution. Prior to joining Village Roadshow Pictures in 2007, Mr. Lee worked in Business Development/ Strategic Planning for Fox Entertainment Group where he supported new business initiatives across such areas as broadcast, cable, sports, digital/ interactive media, mobile, and video games. Prior to Fox, Mr. Lee was an investment analyst for Banc of America Securities, focusing on mid-cap media & entertainment companies such as Pixar, DreamWorks Animation, Lionsgate, and Marvel. He has also served as an advisor to Nolej Records, an independent music label based in New York, and was a co-founder of Woomera Therapeutics, a biopharmaceutical company focused on developing new treatments for small-cell lung and breast cancers. Mr. Lee began his career as an investment banking analyst for Goldman, Sachs & Co., and received an M.B.A. from Dartmouth College and a B.A. from the University of Virginia.